This is a common question because auditory processing disorder symptoms are not obvious. And auditory processing disorder (APD) is not well understood. Auditory processing is an internal cognitive function that impacts all aspects of learning. The signs of auditory processing disorder — as distinct from the normal ups and downs of childhood development — are somewhat subtle. You need an auditory processing disorder checklist to know what you are looking for. Before sending your child to an audiologist, use the checklist for auditory processing disorder symptoms below as an initial screening. If your child has 2-3 of the signs on one of the lists, then you should consider next steps. However, if your child has none or only one of the symptoms below then your child may simply be a slower developer or the source of difficulty is elsewhere. If you do see signs of auditory processing disorder in your child though, you should act. APD is essential to language processing, making it a critical learning and reading skill. As long as your child has auditory processing difficulties, school and reading will both be up hill climbs. Because there is generally no hearing loss or evidence of neurological disorders associated with auditory processing disorder, it often goes undetected. Another complication in recognizing appropriate auditory development is that symptoms of APD often overlap with specific language impairment, ADD/ADHD, developmental dyslexia or delayed learning. Auditory memory. If the language sounds muddy, it does not always make sense and so it is hard to organize and commit to memory. This impacts math facts, following directions, etc. Language processing. This is where auditory processing disorder causes the most havoc. It impacts the ability to understand and think about language, spoken and written. This has academic and social consequences. Central auditory processing disorder can be developmental or acquired. Developmental APD relates to cognitive delays from an early age. And acquired APD relates to difficulties related to external factors, such as traumatic brain injury. A number of auditory processing skills are undermined by auditory processing disorder, including auditory discrimination, auditory memory and auditory sequencing. Learn more about these skills here. Auditory processing disorder looks different as children get older. Even with APD, learning and reading skills progress and so early clues gradually fade as your child gets older and new clues emerge. To help you find age-appropriate symptoms we have created checklists of symptoms by age, which might be more helpful than a general list. Slow start to recognizing letter sounds in words (as opposed to alphabet). Auditory processing disorder in teenagers is harder to detect, since by high school most outward speech and language issues disappear. This does not always mean however that the auditory processing problems have gone away. Rather, they morph into different impediments to academic success. Of the symptoms above, the difficulty with background noise – especially a noisy classroom — is probably the most classic. This is spatial hearing loss, which also involves difficulty with background noise. You can test background noise by carefully observing if there is any degradation of your child’s listening skills in a noisy restaurant or at a noisy sports event. Auditory processing disorder is often tested using temporal gap detection. This approach measures how well an individual can differentiate between sounds at different speeds. Also how well he can process sounds by sequencing them correctly. One way to mimic that idea would be listening for consistent mispronunciation, where letters are switched when speaking. This suggests your child might not be sequencing sounds accurately, a symptom of auditory processing disorder. Another type of test is observing auditory performance with degraded acoustic signals. The idea is to measure how well a child is able to discriminate between sounds at low volume or when there is distortion. While you cannot match the accuracy of the test like that, you can try the same idea. For example, does your child sing the right lyrics to songs he likes, or does he get the words wrong? You can test many of the other signs of APD, related to auditory development or otherwise, in an unscientific way. The best comparison is to his peers, i.e., you must be careful to be age appropriate. For instance, auditory discrimination — being able to distinguish between phonemes such as /p/ and /b/ — does not fully develop until the age of 6 or 7. If you recognize some of these warning signs in your child, you should consider taking action. Even mild auditory processing disorder can prevent reading from ever becoming automatic, which can have a profound impact on your child’s academic success. These neuro-developmental delays in the central auditory nervous system can and will impact language, reading and learning. This is important to understand, as most of the time the APD is the cause of the learning difficulty, the source of the problem. That means that if your child has a learning difficulty and auditory processing disorder symptoms are present, there may be a solution. By accelerating auditory development with targeted exercises or therapies you may be able to treat the APD and thereby help learning. Efficient — fast and accurate — auditory processing skills make sounding out easy and help the clarity and breadth of phonological vocabulary, essential reading skills. Dyslexia and auditory processing disorder symptoms often occur together for this reason. 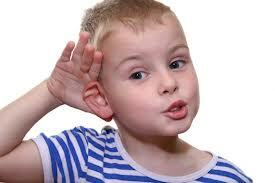 In young children the main auditory processing disorder symptoms are behavioral. For example, unwillingness to engage or acting out when asked to do anything involving listening or reading. Auditory processing disorder in teenagers is harder to detect, but the impact is no less severe. It can cause inattentive ADD, it is often the cause of lower grades, reading reluctance and/or weak reading comprehension, difficulty engaging or keeping up in class, all culminating in homework frustration. Obvious difficulty with pronunciation and vocabulary are directly related to APD. Other auditory processing symptoms such as difficulty following directions are sometimes harder to pick up. Language related issues often stem from language processing disorder. In many cases, parents are not aware of an auditory processing deficit until the homework starts to pile up and it takes too long. Language processing is the most fundamental of all learning skills — we even think in English! Auditory processing problems undermine learning confidence and independence. You can use the American Speech-Language-Hearing Association (ASHA) website to find a Speech-Pathologist or Audiologist to run behavioral auditory testing. Alternatively, there is a lot you can do at home, through careful observation of your child. The lists above provide a good starting point. If you think our child does seem to fit the profile on an auditory processing disorder checklist, then you again have a choice. You could pay for testing at an audiologist’s office and confirm your suspicions. Or your could go right into action mode and do something about it. Just like any physical or mental skill, you can improve auditory processing skills with the right type of exercise. Most children develop these skills naturally, simply by listening to the language around them. However, some need more language stimulation and practice than is available in normal daily language interactions. Our program provides that additional exercise, the equivalent of hearing millions of words. The software is adaptive. That means it very quickly gets to a speed and complexity that will challenge and push your child to higher function and therefore reduce auditory processing disorder symptoms.